Physiotherapist Jane Bos has been asked to contribute towards a presentation for Consultant Mr Fahmy about Vestibular Rehabilitation. This presentation will be given at a study day in Newmarket for 20-25 trainee ENT registrars from the East Anglian region. It will also be mentioned at central ACPIVR (a special interest group), as regional promotion of vestibular rehab to medical colleagues is being encouraged. 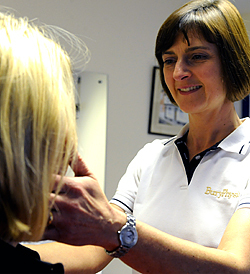 For an assessment and treatment for dizziness and vestibular issues, Jane Bos is the Physiotherapist to book with. Inspirational headache and migraine treatments in Australia!